Friday tip: Don’t overthink. 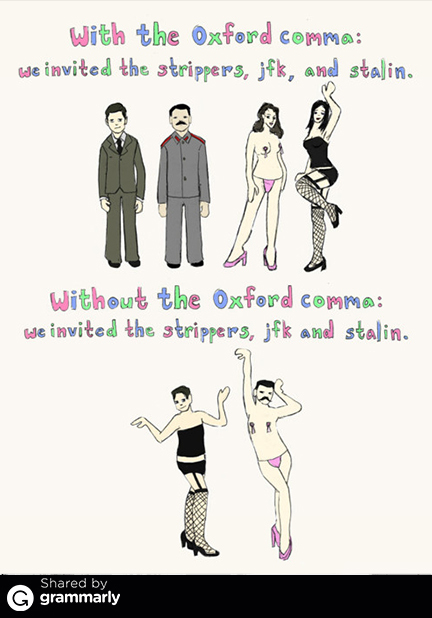 Write without regard to spelling, grammar or punctuation. Once the idea is out, you can go back and fix the stuff that needs fixing. This entry was posted in Friday tip, Grammar on October 30, 2015 by kellykoepke. I don’t disagree, but I also don’t believe these power draining phrases are found only in women’s writing. Anyone who uses these phrases should CUT THEM OUT! This entry was posted in Grammar on October 29, 2015 by kellykoepke. This entry was posted in Grammar on October 28, 2015 by kellykoepke. Working with Kelly saves me between 4 and 5 hours every day. That means I can put more time into research and development and with customers. That translates into an increase in sales of $2,000 to $3,000 a week, and more . Because by the time I figure out what I want to say, Kelly’s already done it. I don’t have to worry about putting my marketing messages together, and can concentrate on what I do best. Sharon Dillard, CEO, Get A Grip Resurfacing, Inc. This entry was posted in Uncategorized on October 27, 2015 by kellykoepke. Top 6 Reasons Marketers Should Use Press Releases. Need help with that? I’m your woman. This entry was posted in Press Releases on October 26, 2015 by kellykoepke. Friday tip: 3 ways writing will improve your life. Really. This entry was posted in Friday tip on October 23, 2015 by kellykoepke. Smart humor for grammar nerds. Like you. This entry was posted in Grammar on October 22, 2015 by kellykoepke. 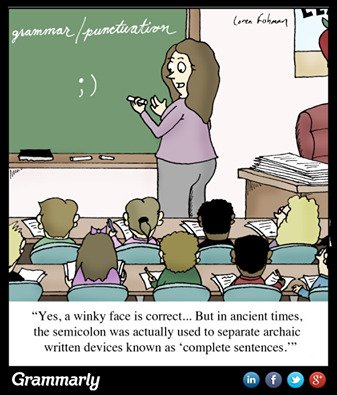 Kids these days have no idea what a semicolon is for. It’s not a winkie face. This entry was posted in Grammar on October 21, 2015 by kellykoepke. Her writing truly captured the essence of what my business is all about. It is concise, accurate, and gets to the point of the overall message. Without hesitation, she has my highest recommendation and I would, without a doubt, refer her to anyone who needs a master wordsmith. This entry was posted in Uncategorized on October 20, 2015 by kellykoepke. What’s content collaboration? The quick answer is that I write stuff for businesses. Businesses that are too busy to tell their current and potential customers all the happenings. Or terrified to write it themselves. Or don’t know the first thing about how to create content for newsletters or social media posts. Or find that writing websites or articles not their cup of tea. To which I tell them, that’s okay. That’s what I do – help you find the right words and ways to share your compelling stories. This entry was posted in Blog, Brochures, Ghost Writing, Newsletters, Press Releases, Web Copy on October 19, 2015 by kellykoepke.